Our professional home inspection will cover all of the important aspects of your home so you know if your pending home purchase is a sound investment. No home inspection is helpful without a comprehensive, easy to understand report. 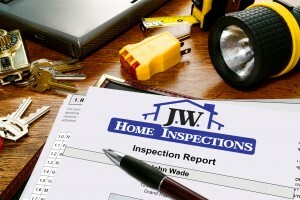 JW Home Inspections uses the Home Gauge inspection reporting system to provide a full report on the inspected condition of the property, emailed to you right at your home inspection, depending on internet service! This downloadable example is a sample home inspection report featuring a wide variety of issues found at various homes in the area. Your home inspection report will be a custom made, thorough look of the home inside and out so you can make the best buying decision!